Aquaman has officially passed Wonder Woman at the box office. In less than a month, the DC universe has truly found its savior. Jason Momoa had won the hearts of fans as Arthur Curry, aka the King of Atlantis. But the character hadn’t truly had the chance to shine in a proper way until now. And audiences are really taking to it, as Aquaman continues to rake in the cash all over the world. With the New Year’s Day box office factored in, Aquaman has now grossed $216.3 million domestically and $606.5 million overseas, bringing its worldwide total of $822.9 million. That puts it just ahead of Wonder Woman, which managed to bring in $821.8 million last year. However, director Patty Jenkins’ Wonder Woman made quite a bit more domestically, as the movie grossed $412.6 million here in the states. In fact, Aquaman is still the lowest grossing movie in the current DC franchise domestically, still sitting behind Justice League ($229 million). That important distinction aside, Aquaman is on its way to becoming one of the biggest DC movies of all time. 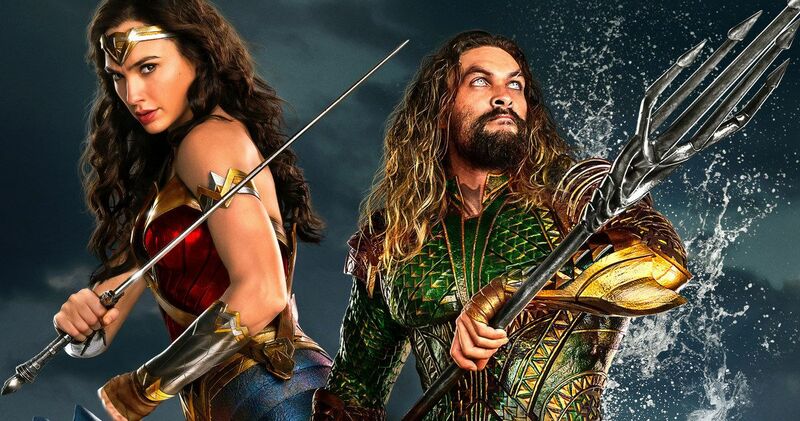 Within the current run of DC movies, Aquaman still needs to overtake Batman v Superman: Dawn of Justice, which grossed $873.6 million at the worldwide box office in 2016. But at the rate things are going, it should overtake that total in virtually no time at all. Especially considering that there isn’t any truly major new competition coming down the pipeline until Glass opens on January 18. That gives Aquaman a couple more weeks to take in more at the box office domestically before it will have to surrender the box office crown. To say the least, this is exactly what Warner Bros. needed from DC right now following the lukewarm reception to Justice League. The movie failed to meet expectations at the box office and, thanks to very costly reshoots, wound up losing the studio a good deal of money. The failure resulted in the studio rethinking their strategy with DC Films moving forward and Aquaman wound up being the first movie to come out with this new strategy in place. While that did place a lot of pressure on the movie to deliver, it looks like Arthur Curry had no problem meeting that challenge. Wonder Woman, critically speaking, is still the Queen of the DC universe, as the movie holds a 93 percent approval rating on Rotten Tomatoes, compared to the 64 percent held by Aquaman. Still, audiences are taking to it and critics didn’t hate it. That’s important moving forward. In all likelihood, Aquaman will be the first DC movie since The Dark Knight Rises to cross the $1 billion mark globally, which is truly impressive considering that Batman is, by every measure, a much more popular character. But things are changing and it’s clear there is a new king in town. These numbers were provided by Forbes.